Power quality is among the top issues for healthcare sites. Hospitals spend millions of dollars on equipment that is very sensitive to power quality. Without the proper hardware and software, these facilities have no indication of the quality of power they are getting from the utility company. With low quality power or in the event of a power issue, equipment can be affected by deterioration, destruction, downtime, loss or decrease in operational safety, costing the hospital hundreds of thousands of dollars in some cases. Healthcare facilities can benefit from equipment utilization monitoring. By understanding the load profiles of their electrical equipment, they can identify spare capacity for additional loads. Utilizing this spare capacity at the appropriate times can create significant cost savings in the form of lower unit costs for power. Energy management is another area of focus for hospitals, especially as they discover how their margins may be affected due to Medicare/Medicaid reimbursement difficulties resulting from government budget deficits and through healthcare reform. Finding areas for energy conservation will be critical for hospitals to remain solvent. 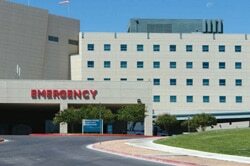 Hospitals are required by JCAHO to test their emergency power supply system monthly, to ensure the generators and transfer schemes can handle the load of the hospital during an actual power outage. Noncompliance with JCAHO standards can mean loss of funding to the hospital, putting the hospital in potentially serious financial distress. Meeting JCAHO’s requirements for maintaining emergency power systems was listed as one of the most challenging requirements in 2010, with a 40% noncompliance rate (Joint Commission Online, April 27, 2011). Some reasons for noncompliance are that monthly audits are very tedious and cumbersome. Monthly audits are traditionally done with clipboards and radios and are extremely inefficient, as well as subject to human error in reporting. By deploying an automated testing system, hospitals are able to capture data every second throughout the entire test and can immediately identify whether the test complies with JCAHO requirements. Automating this process eliminates man hours, reduces errors, and gives JCAHO and the hospital a more accurate test and reading. In addition, this identifies any weak links that could cause loss of Medicare funding or potential patient life-safety concerns during an actual emergency.